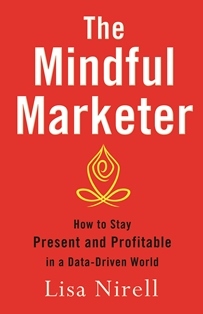 Anna and I discussed my new book, The Mindful Marketer, and how mindfulness/meditation practices can be applied to one’s career path. She was excited about this message, and wanted to share it with her readers by interviewing me for her blog. Part 1 of our interview is now live. In Part 1, we discuss what mindfulness really means, and how to make time for meditation/mindfulness within your busy schedule. I share some meditation practice tips and tools as well. Don’t miss out on the new online meditation tool that I discovered for busy professionals. Read the full interview here. Stay tuned for Part 2—”incorporating mindfulness into your workplace”–later this week.